Since their début concert in April 2011, the Victoria Baroque Players has collaborated with the St John’s Chamber Singers when performing choral works. The choir, directed by David Stratkauskas, has become known for its dynamic and stylish performances of Baroque music. Together the VBP and SJCS have performed many major 18th-century choral works such as Handel’s Dixit Dominus, Telemann’s German Magnificat, several of Bach’s and Buxtehude’s cantatas and motets, and in March 2013, Bach’s St John Passion conducted by Pacific Opera Victoria’s Timothy Vernon. 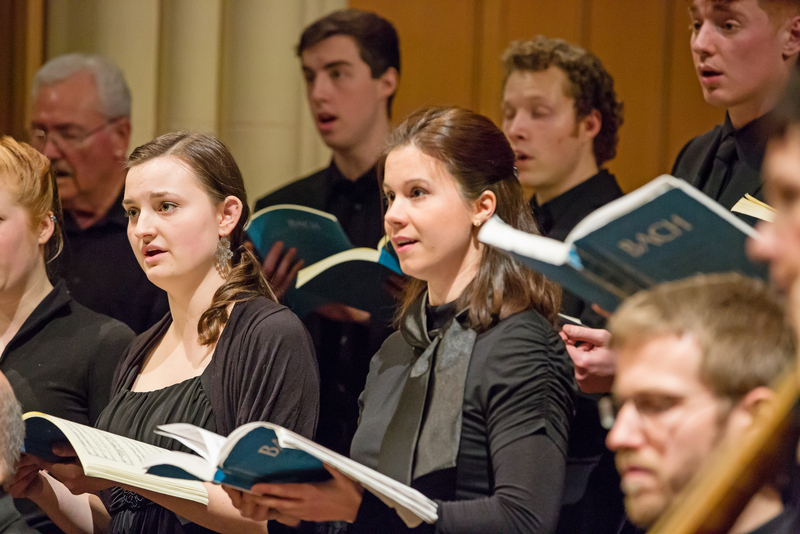 The core of the St John’s Chamber Singers is an audition-based chamber choir that sings regular services at St John’s. Their repertoire covers sacred music from Monteverdi, Tallis, and Byrd to modern composers such as Durufle, Howells and Britten. For concerts the choir also draws on experienced choral singers from the community, and many of its members are professional musicians and voice students. The vocal soloists sing as part of the choir, as was the custom in the 18th century.